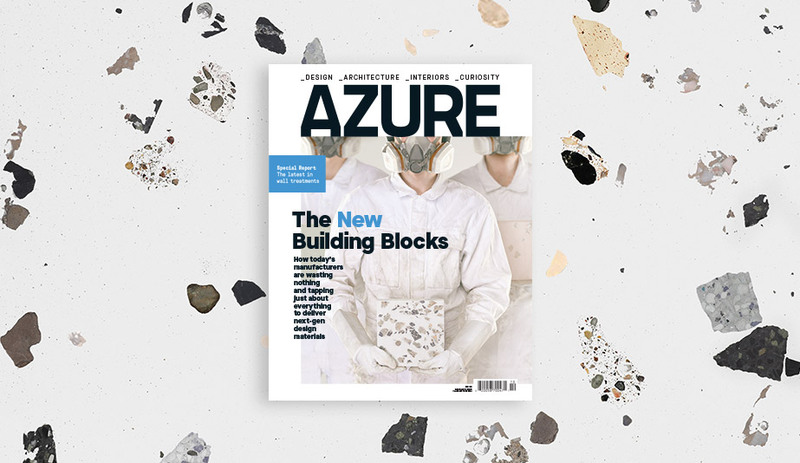 Step inside the world’s most remarkable interior spaces with the November/December edition of Azure. 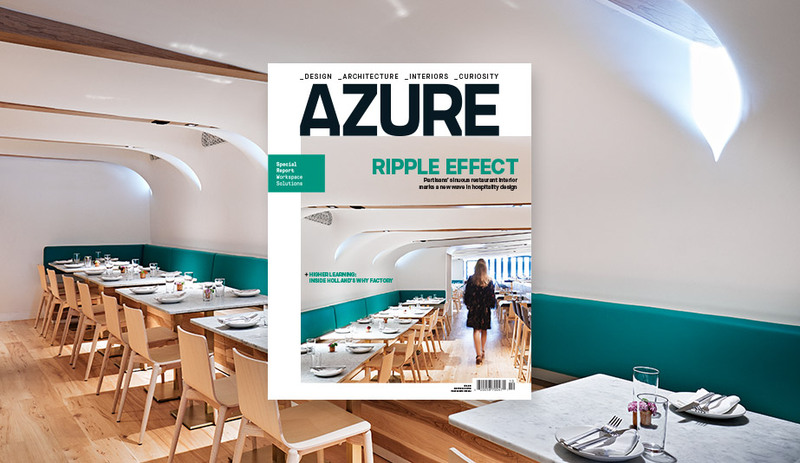 The four outstanding projects featured in our annual Interiors issue offer a wide-ranging look at how some of today’s best architects and designers are crafting the places we eat, shop and work. British architect David Chipperfield’s first project on Canadian soil, for example, is an unabashedly austere showroom in Montreal, the first bricks-and-mortar flagship for online fashion retailer SSense. Featuring a restrained material palette of concrete, stainless steel and glass, the neo-brutalist shop is a physical representation of the brand’s ethos and aesthetic. Taking a different yet no less stunning approach, Ciszak Dalmas and Matteo Ferrari Studio applied unorthodox materials – including a custom-blended clay composite, yards of leather and handmade bricks – to transform a former Madrid auction house into a warm, textured outlet for the Spanish leather goods and accessories brand Malababa. In Taiwan, meanwhile, Waterform Design converted a cavernous steel-shed warehouse into a free-flowing workspace flooded with light and curated hits of colour for a manufacturer of water dispensers. 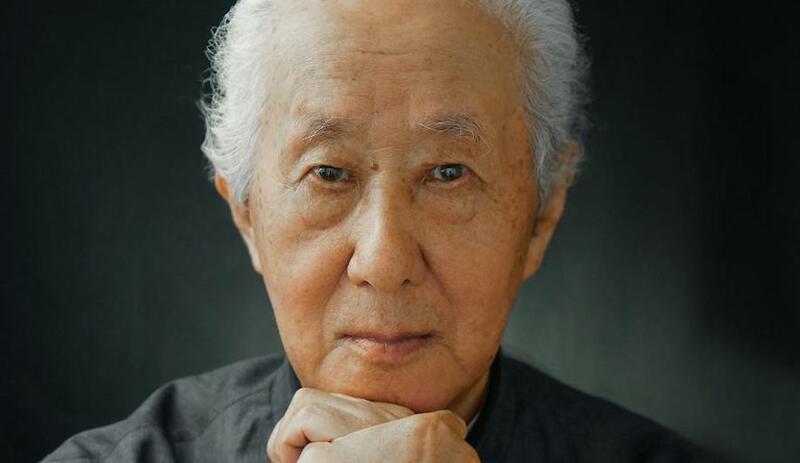 It was all done on a tight budget and with the structural integrity needed to withstand the typhoons and earthquakes that periodically happen on the island. And for a new restaurant in Toronto, local architecture studio Partisans reinterpreted tarp-covered Mexican markets to create a sinuous – and scene-stealing – ceiling that epitomizes the firm’s exuberant style. Underneath its undulating crown, Quetzal signals a new wave in restaurant design, complete with a 7.3-meter-long wood-fired grill, rich Canadian maple furnishings and a crisp two-tone palette. Plus: Kengo Kuma’s sharply angled V&A building in Scotland; behind the scenes at Holland’s Why Factory, the most radical design school on the planet; and a purposely disorienting addition to a Tasmanian museum. 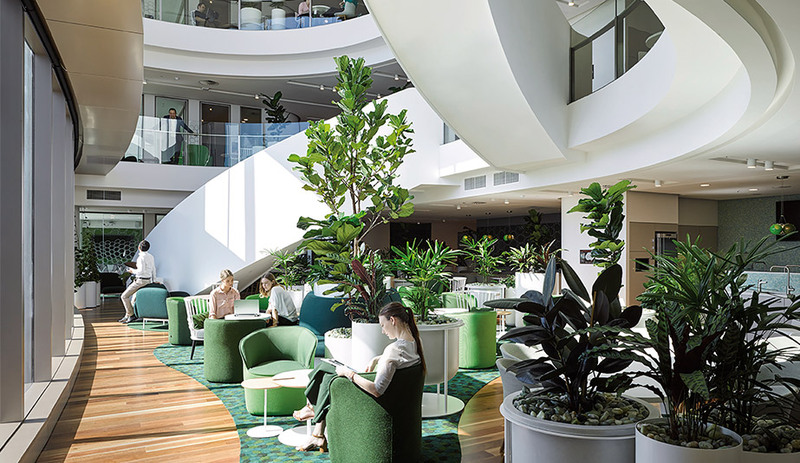 Nature-inspired furnishings, a holistic government office and more. 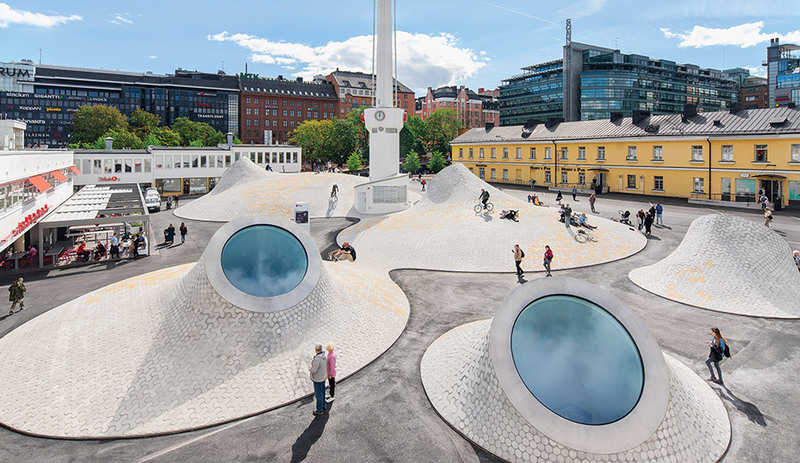 A sunken museum in Helsinki pops up in a revamped square. 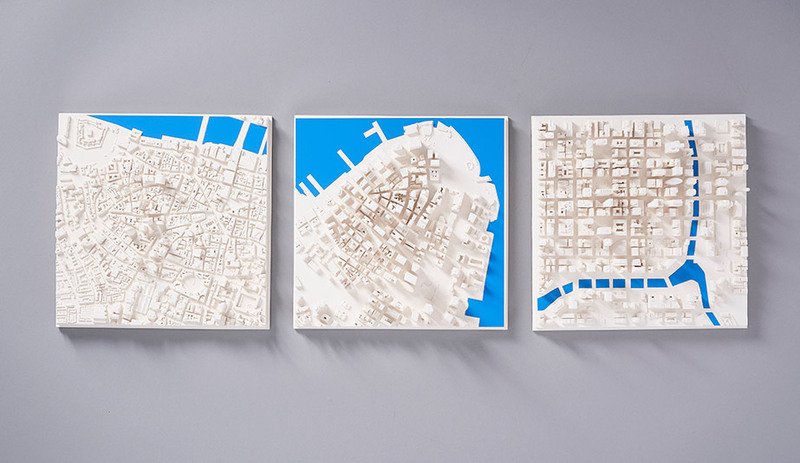 Smartly designed presents for inspired seasonal giving. 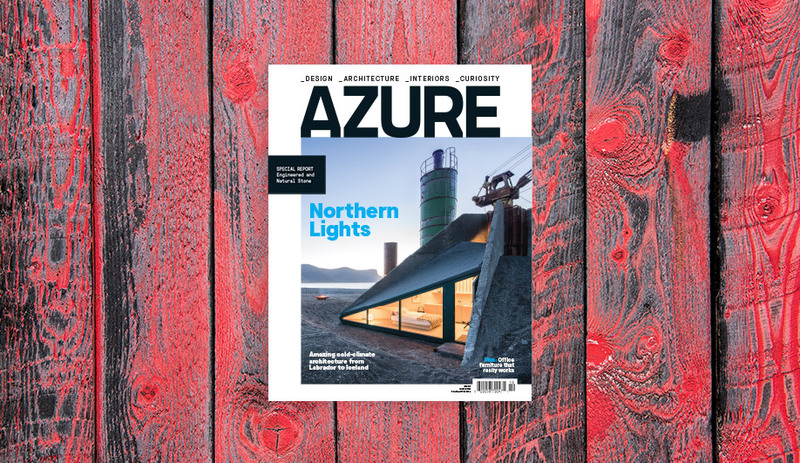 The November/December 2018 issue of Azure is now available on newsstands and online. Get yours now. For single copies, go to shop.azuremagazine.com. To subscribe, visit azuremagazine.com/getazure.